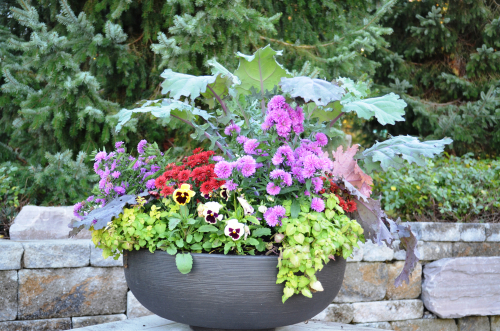 Decorative container gardening is hard to beat! It's one of the easiest and best ways to enhance your outdoor living space. Plus, pots overflowing with flowers and foliage are useful in a wide variety of settings. 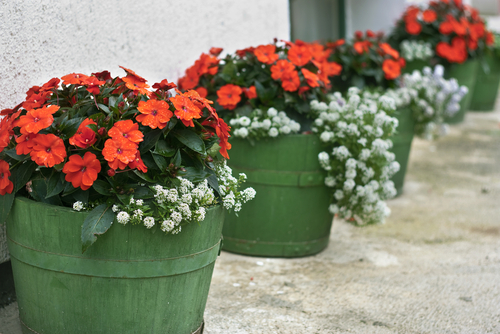 From large patio displays to small condo balconies, nearly everyone can take advantage of container gardening. For eye-catching displays that will be the envy of your neighborhood, try one or more of these tactics. Make your color scheme bold and dynamic, using a carefully curated collection of flowers across a complimentary color spectrum. When making your selections, consider foliage too! Non-blooming plants offer one of the easiest ways to layer in additional colors while also bringing dramatic textures into your arrangement. Select a container large enough to handle lots of plants, packed together tightly. (Just make sure your plantings get regular watering!) You can also achieve the same effect with several smaller containers of varying heights nestled together. Prefer a more subtle, sophisticated look? Try restricting your color palette to two or three complementary colors. Keep your foliage choices within the same narrow band of colors. For a more significant impact, repeat your selections across multiple containers. 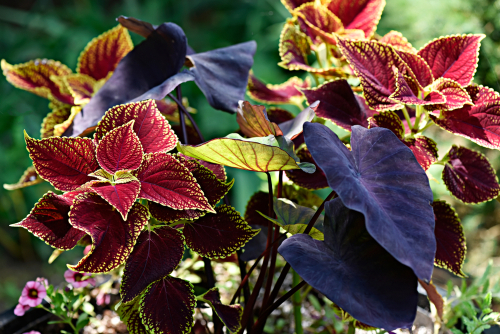 Yes, it’s possible to create alluring container gardens with plants that are grown only for their attractive foliage. They offer a vivid spectrum of greens (from dark avocado to yellowy chartreuse), reds (including maroon, pink, and orange), blues (think blue fescue and certain varieties of sedum), and whites (snowy white, soft ivory, and silvery grey). In addition to offering impressive variety, a foliage-only container garden will maintain its good looks all season long! Variety isn’t the only way to make a big impression. Try limiting your color decisions, selecting one type of container, and arranging three or more identical plantings in a row. You’ll quickly and easily multiply the impact! 5. Find a statement container. 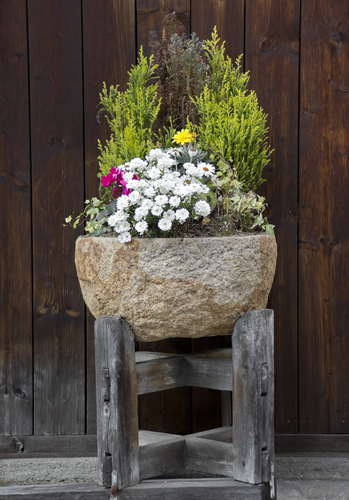 Don’t limit your options to the traditional planting containers that are readily available in garden centers and big box stores. Scour other sources like yard sales, farm supplies, and architectural salvage stores for unique containers that can be repurposed into an attractive container garden. If your yard space is limited (and even if it isn’t), consider taking a vertical approach to container gardening. 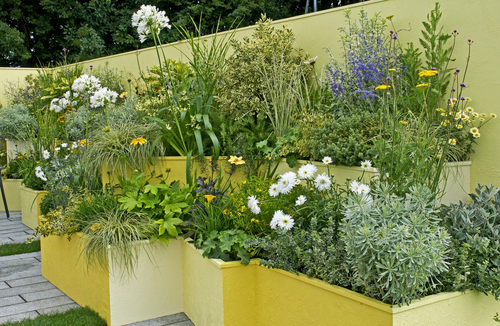 It’s a great way to take advantage of unused space and showcase your plantings, by placing them closer to eye level. 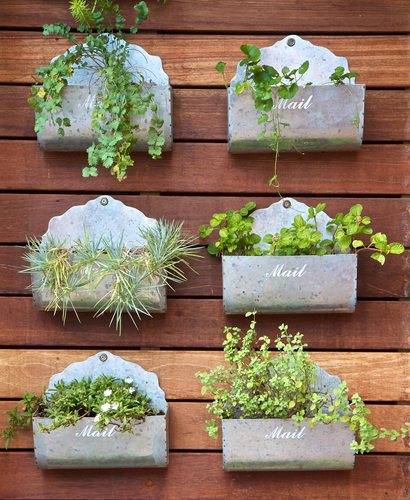 Whatever your style, enjoy creating your own container gardens!